Get ready to experience the complete thrill of hot, loud legendary American-made muscle inside the thrilling new Dodge Challenger in Palestine, TX when you visit Elliott Chrysler Dodge Jeep Ram Fiat Palestine.It’s here. The gleaming, iconic body style, a throwback to the glory days of beefed up, hair-raising metal monsters, calls to you. You can hear the rumble of the engine in your mind. Are you ready? We certainly are. Let’s explore this downright nasty and outright exciting muscle car together. Your new Dodge Challenger awaits you at Elliott Chrysler Dodge Jeep Ram Fiat Palestine today. Despite the old adage to never mess with a good thing, Dodge balked at traditional wisdom and enhanced the new Challenger with a futuristic design concept, in which classic muscle and modern style collide in perfect harmony. Four powerful engine options culminate in the super-charged 6.2L HEMI SRT Hellcat V8. The new Challenger is an adrenaline junkie’s dream ride. Created on the back of 47 years of iconic muscle car heritage, Dodge has perfected the art of powerful performance and excellence in design. 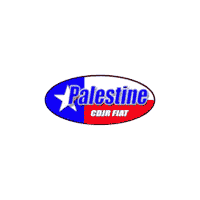 Get behind the wheel today at Palestine CDJR FIAT and experience the thrill of it all. Owning a new Dodge Challenger gives you the power you want right at your fingertips. It also ensures that every mile you drive will be filled with excitement and exhilaration. With performance technology to swoon over, including an available active exhaust system and Three-Mode Electronic Stability Control combined with innovative Tough Tech state-of-the-art technology; your new Dodge Challenger will be that car you’ve always dreamed of driving. When you visit Elliott Chrysler Dodge Jeep Ram Fiat Palestine, you can experience the thrill of handpicking your perfect new Challenger from our impressive selection, and get familiar with the ins and outs of your new Challenger with our team of Dodge enthusiasts. Elliott Chrysler Dodge Jeep Ram Fiat Palestine offers personalized customer care and a laid back shopping environment to make finding your perfect Dodge Challenger a breeze. Visit us at our showroom in Palestine, TX; or shop online day or night. Your new Challenger awaits you right here at Elliott Chrysler Dodge Jeep Ram Fiat Palestine.